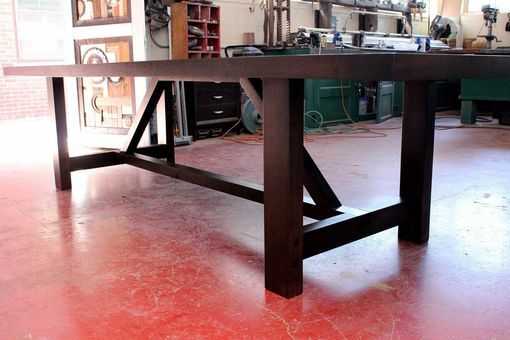 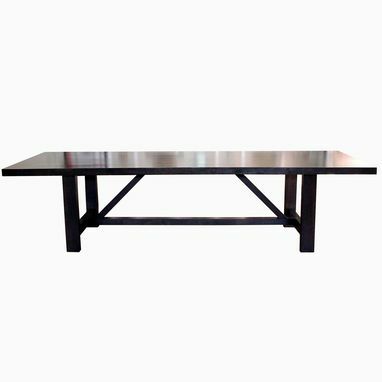 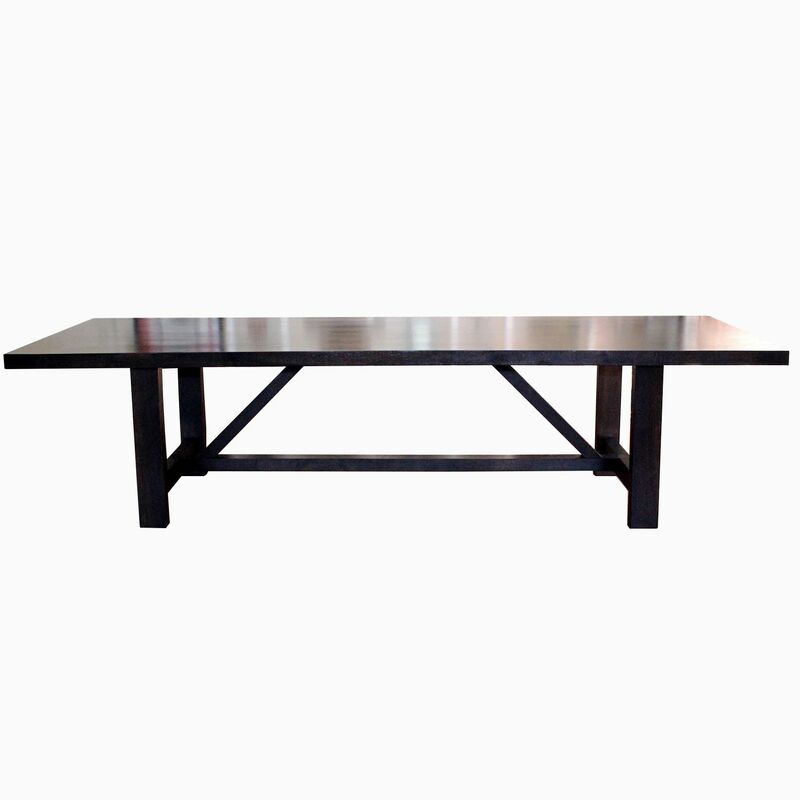 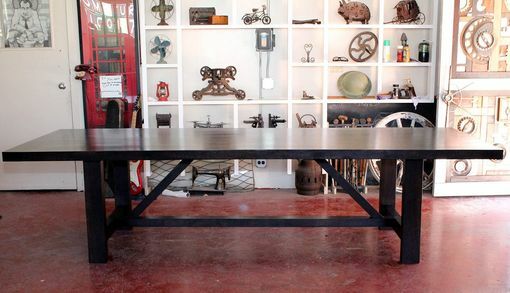 This large dining table is made from solid walnut, and features a trestle base. 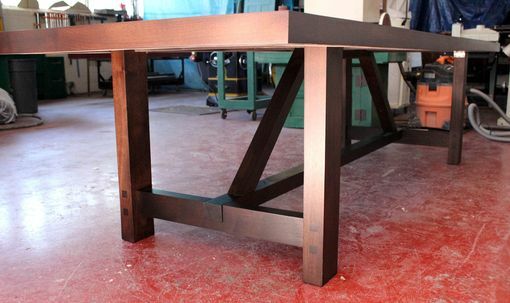 Shown in walnut, this design can also be made in hickory, birch, and white oak. 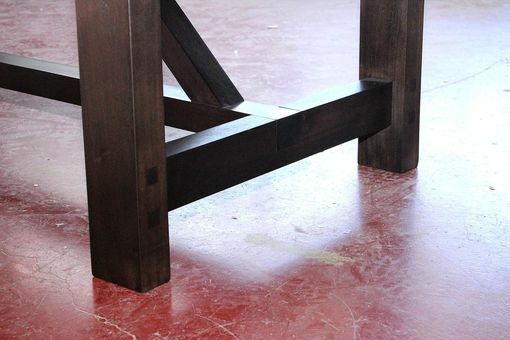 The wood can be finished in a variety of paints and stains to customer specification.